The PASSPORT Vertical Platform Lift is known as the lightest residential platform available on the market. 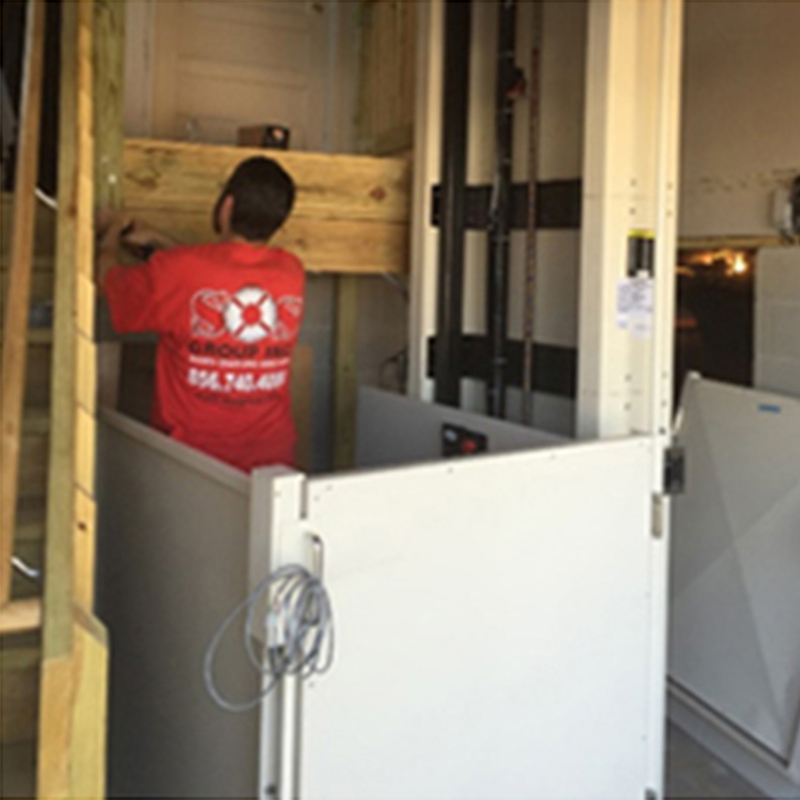 It weighs in at less than 400 pounds and features an individually prewired platform lift tower and gate for easy installation. 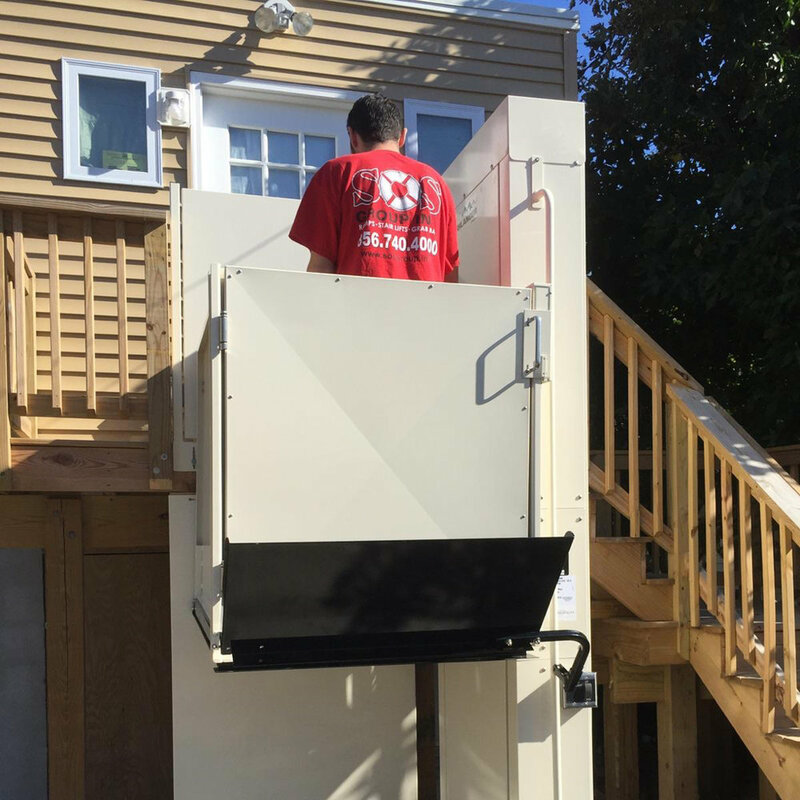 This vertical platform lift is used most commonly for individuals with limited mobility and is a great solution for any difficult pathway, porch or platform. 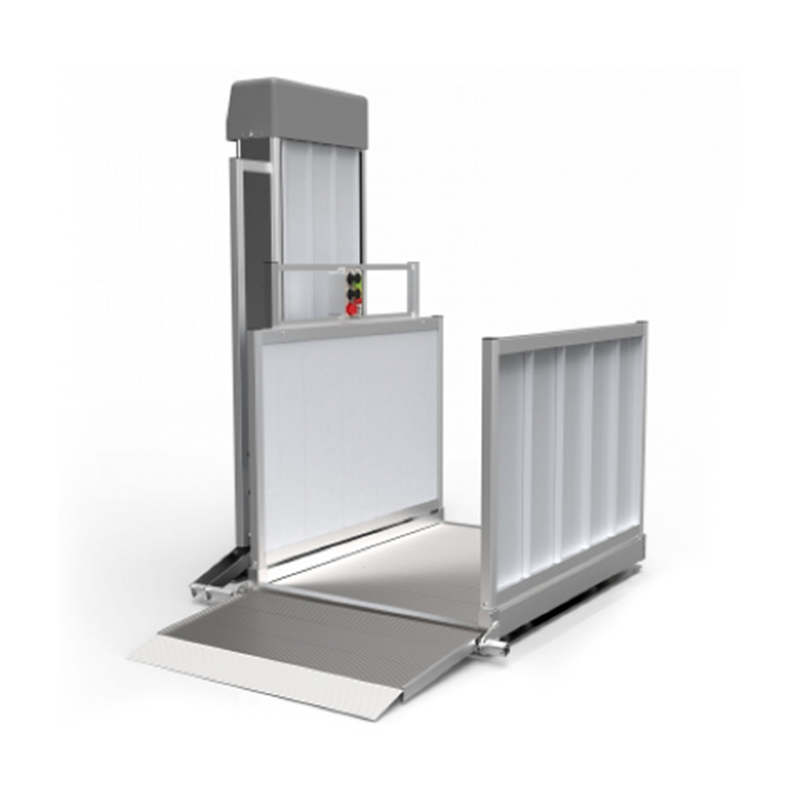 The PASSPORT Vertical Platform Lift is ETL-Certified and independently tested and approved for product safety. Lightest Platform Lift - The PASSPORT Vertical Platform Lift is known as the lightest residential platform available on the market. It weighs in at less than 400 pounds, which is 300 pounds lighter than comparable steel units. Plug-N-Play Wiring Technology - The platform tower and gate are both prewired with automotive-style connectors that are waterproof and will not corrode. Our Plug-N-Play wiring technology makes the PASSPORT Vertical Platform Lift is user-friendly and low maintenance. DC-Powered - The PASSPORT Vertical Platform Lift is fully DC powered. On battery power only, the PASSPORT can complete approximately 30 complete cycles, even fully-loaded. Platform Safety Rail - The safety rail for the PASSPORT Vertical Platform Lift provides additional stability for platform lift riders who need a platform grab bar. 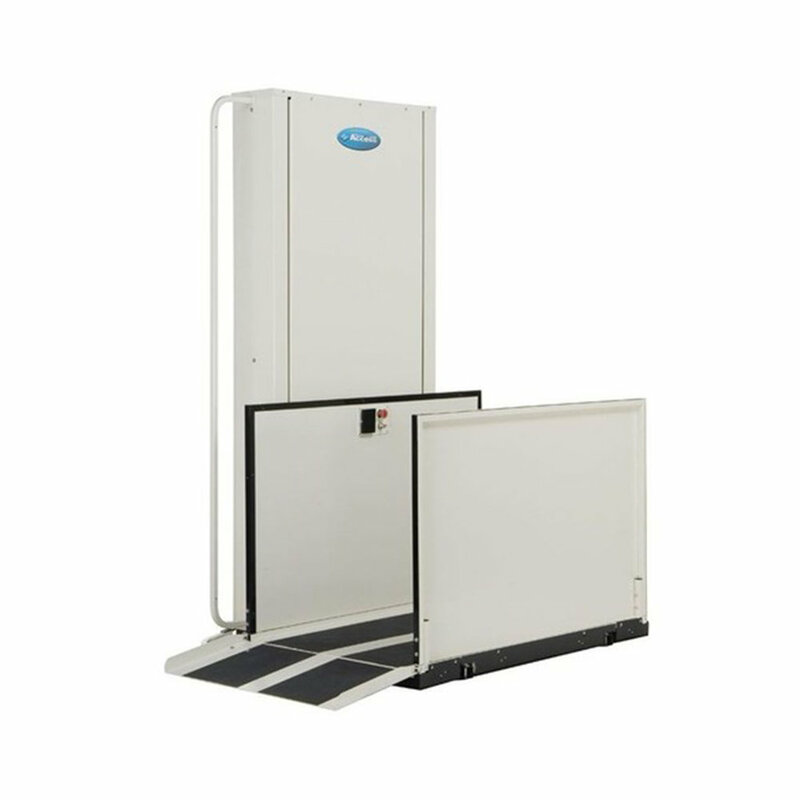 Platform Weather Guard - The weather guard for the PASSPORT Vertical Platform Lift helps protect the base of the platform lift from the outdoor elements. Top Landing Gate - The PASSPORT gate feature a mechanical interlocking latch with magnetic read switch that keeps the rider protected and safe from accidental injury and prevents improper operation of the lift. Call/Send Control - Easy to push call/send control option allows you (up to two) additional stations for the rider to call their PASSPORT up and down.